The content has a lifespan min. 5-10 years. 230 VAC power supply, adapter 12VAC. 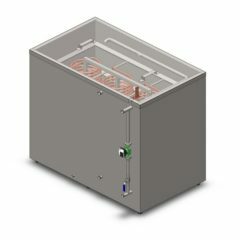 Featured minimum flow rate is with 5 bar water pressure. Maximum operating pressure is 6 bar. 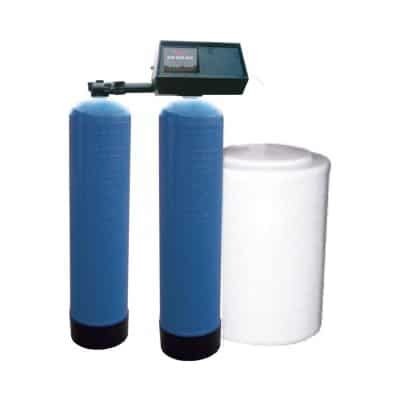 The device is supplied with two tanks = water supply is continuous, the regeneration do not interrupted water supply. 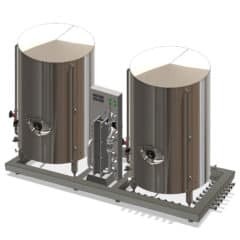 Special CMM module (The compact system wort cooling and the water management) which integrates the unit for cooling of the wort consists of heat exchanger, cold water tank 200 liters and independent water cooler for cooling of the wort , stone for aeration of the wort and the hot water tank 200 liters on a shared frame with the adjustable feet. 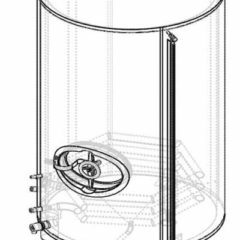 Hot water that we receive from cooling of the wort in the first stage of cooling (in the plate heat exchanger integrated in the brewhouse) is collected in a stainless steel insulated tank and is ready for use. 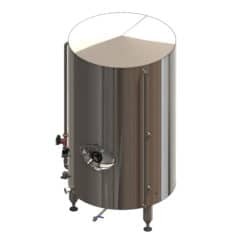 Most often brewers use the hot water for preparing the next batch of brewing, but also when washing and sanitizing other equipment in microbrewery. This recuperation of waste heat from wort cooling contributes to substantial savings in production costs.